“User experience” describes how a person feels while interacting with a product or system. There are many aspects of a product or system that influence how a person feels when using it, including its usefulness, usability, and aesthetic appeal. These factors provoke different feelings over time that contribute to the overall experience. We can’t anticipate what is useful, usable or appealing to the people we are designing for without finding out more about them. 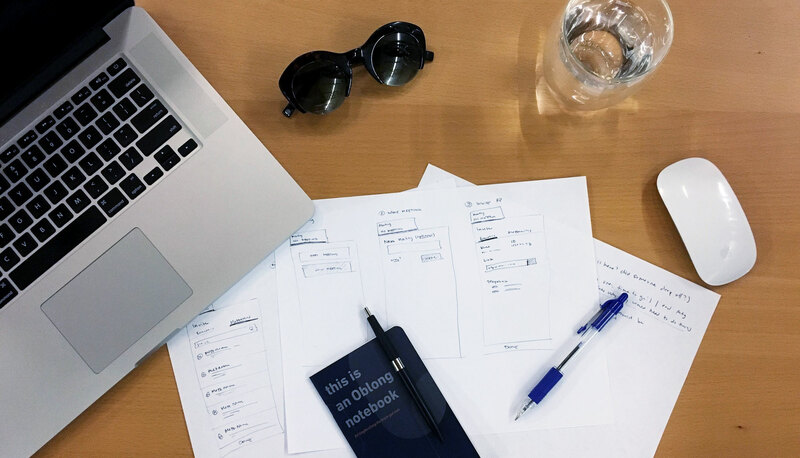 At Oblong, we approach the challenge of designing for multi-user, multi-device experiences through a deep understanding of our users. The work we do to achieve this understanding, called user research, is fundamental to our product development process. Below are some of the ways we incorporate user research into our process on Oblong’s Mezzanine team. Our understanding of the people who use Mezzanine plays an essential role in our development process, and it’s something we continuously build over time. We schedule site visits and user interviews where members of the product team have the opportunity to interact directly with Mezzanine users and learn about their work environments, needs, and goals. We also leverage insights from colleagues in other departments with high levels of customer interaction, like Sales and Customer Support. Anecdotes from the field help us understand pain points and build empathy for the people who use our product. Every time we add something to the product or make changes, our shared understanding of the people who use Mezzanine serves as a foundation for the design. When sketching new ideas or evaluating options, we can run our designs through the scenarios we know our customers face on a regular basis and see how they hold up, asking each other “How would this work for the project manager we interviewed last week? Can we make it even easier to collaborate on the project plan?” Our knowledge about the people who use Mezzanine allows us to more accurately represent their needs in the design process, but there are still times when we have to make assumptions to keep the process going. Our research helps us make educated assumptions, and when we do we make sure to acknowledge them and validate them in the next steps of our process. When we have a design direction we want to pursue, we test it out to validate the experience. This can happen with anything from a sketch to working code, and it doesn’t always have to be rigorous. In addition to conducting usability testing, we do “hallway studies” where we walk around the office and get quick feedback from colleagues not on the product team. Validating early and often allows us to fill in gaps, identify usability issues, and test assumptions we’ve made earlier on. We also use Mezzanine on a daily basis, so we deploy new features to our own Mezzanines and solicit feedback from the people using them. However, we know that we are not our users and make sure to balance internal and external validation. Mezzanine is collaborative in nature, and learning how customers experience new features in real meetings provides insights beyond what we can get through other validation methods. We try to get new features into customers’ hands as soon as possible so we can start getting feedback on how they work in context. To do this, we partner with early adopter customers who get advanced access to new features in return for participating in our research. The data we collect in these sessions informs future iterations and goes back into our shared understanding of Mezzanine users. Our work on the user experience of Mezzanine is never finished. Bringing the future of work to today’s workers means designing for positive experiences that inspire confidence and productivity. User research is a powerful tool that allows us to bring the people who use Mezzanine into our development process while we work toward bringing them the best possible user experience.